Make a DIY balance with a few simple and inexpensive materials from the craft store. The balances are great for math, science, or STEM learning centers in preschool and pre-k. Kids can study the concept of weight by using these inexpensive balances that you can make. I love creating learning resources for kids. This week I made an inexpensive, DIY balance and I’m going to show you how to make some for yourself. Don’t worry, it’s really pretty simple. This post contains some affiliate links. I recently attended an early childhood STEM training session where the presenter showed us how to make a simple balance with recyclable materials. I thought it was a great idea. To make your own you can hot glue a toilet paper tube onto the bottom of the shoe box lid. Easy Peasy! Kids can use the cardboard balance to experiment with rocks or other small manipulatives to help them begin to understand concepts weight. I love the cardboard box idea, but toilet paper tubes and paper towel tubes are usually pretty flimsy and get smashed pretty easily. Wouldn’t it be great to make a simple balance that would be a little bit sturdier? So, after some thought, I came up with a simple homemade balance that can be made from inexpensive materials that can be purchased at the craft store. Here is what I used to create my balances. Wood Slats – I found a package of 6 wood slats in the wood crafting aisle at Hobby Lobby for $2.99. I have also seen the same slats at Michaels. If you are lucky, you might even be able to get some free scrap pieces from a handy person in your life. You can also use longer slats of wood. Thick Wood Dowel – In the same aisle I found a 7/8″ thick, 3-foot long dowel for $2.29. You will need a saw to cut the dowel. If you don’t have a saw you can use wooden spools instead of a dowel. Glue – I used wood glue, but you can use a good craft glue, or hot glue too. To begin, I cut the dowel into small pieces – slightly smaller than the width of the wood slats. Then, I lightly sanded the edges and corners of the slats to make them smooth. We don’t want splinters! After measuring the center point, I marked it on the wood slats. Then, I added a line of wood glue along the center line – not too thick. Next, I carefully placed the piece of dowel on top of the glue line. There was no need for a clamp. I just carefully placed it and let it rest to dry in place. After the initial line of glue had dried, I then added more glue along the side of the dowel. Finally, to give the connection a bit more support, I added two small craft sticks on each side. Tada! I’ll be honest and tell you that I couldn’t get all of my balances to perfectly balance on the round dowel. I rubbed the dowels along sandpaper to create a little bit of a flatter surface on the bottom and that helped some of them. But don’t worry…even if they don’t perfectly balance….it’s okay because kids can still experiment with them to explore the concept of weight. It’s a great idea to get kids involved with the assembly so that they can experiment with different sizes of dowels, different sizes of wood slats, etc. Here are just a few ways that you can use the balances. 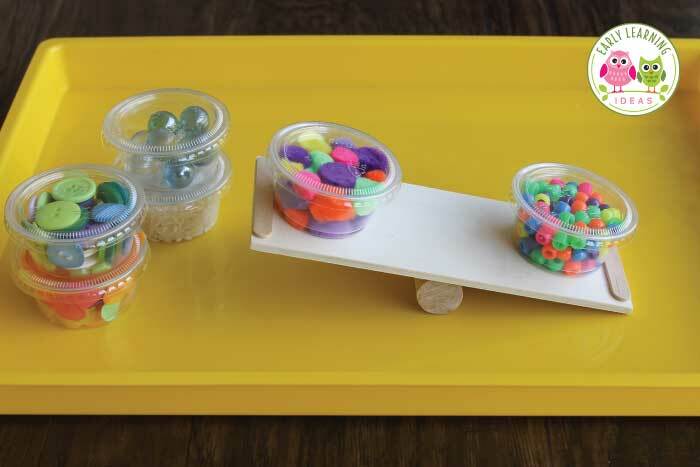 Place a balance on a tray along with different little manipulatives for a math and science learning center activity. Add little cups to each end of the balance to hold objects or materials. You can use any kind of objects with the balances. Think about high-interest items that will be most exciting for your kids. If a child LOVES legos, he or she would probably get a kick out playing with a bunch of Lego people and a balance. Add blank books to the balance center so that kids can record predictions, results, etc. 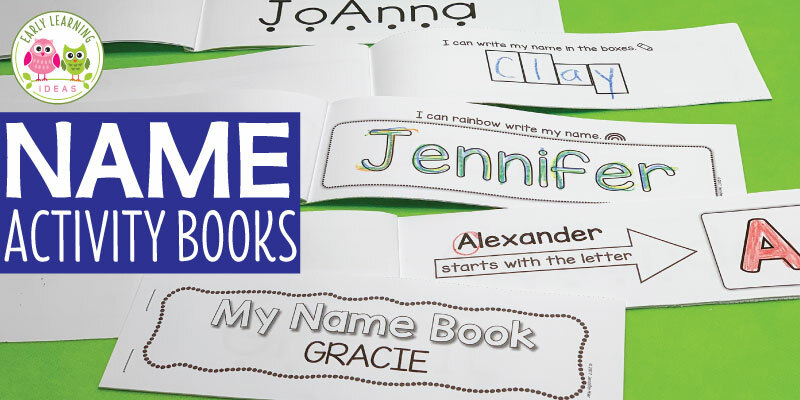 Use thematic materials to tie into a classroom unit of study or theme. 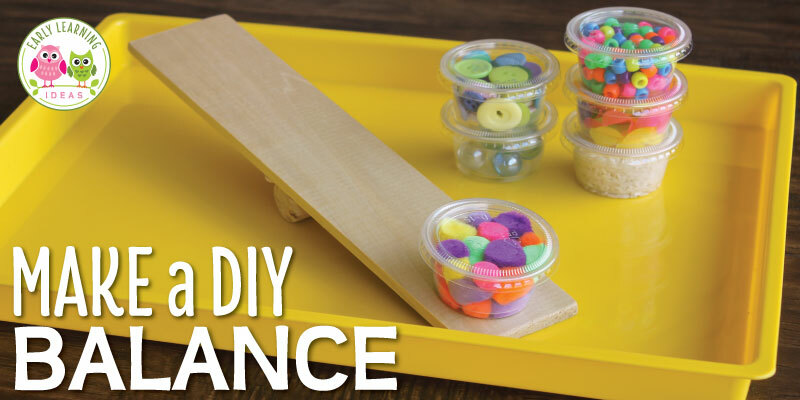 Small erasers or plastic counters will make a fun addition to a balancing activity. Fill small plastic containers with a variety of objects and ask kids to compare the weight of the objects. Can you find the heaviest container? Which container is the lightest? How did you figure that out? Add a platform in the middle of a sensory bin filled with rice, beans, sand, etc. Add small containers, spoons, and some balances to the bin. Place some small cars on a tray with a balance to let kids experiment with it as a ramp. Provide ramps of different lengths. How do the cars react differently? Add different materials to the top of the ramp (sandpaper strips, shelf liner, foil, etc.) What happens? 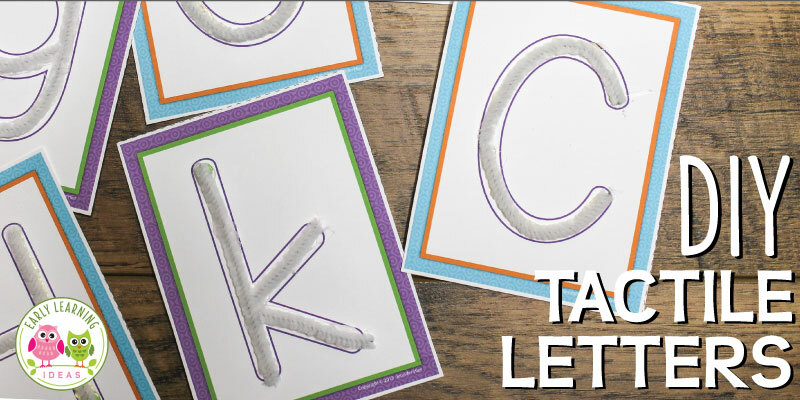 Well, I hope that I gave you a few activity ideas that you will try with your kiddos. If you make a DIY balance, let me know how it goes. I would love to hear how you use them. You may also be interested in the following STEAM resources from my store. Click on the images below to check them out. Below are some items from Amazon that can be used to create the balances in this article and some items to expand upon the concept. The links below are affiliate links. If you happen to purchase something from a link, there will be no additional cost to you, but a small portion of your purchase will be used towards the cost of maintaining this website.